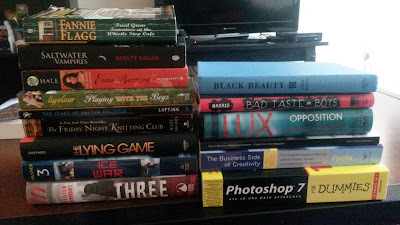 I’m actually getting rid of some books this week. I just don’t think I’ll read some of them. The others I’m getting rid of because I a) didn’t love it and probably won’t be buying the sequel or b) I already own another copy of it. Sorry if some of these books are your favorites. I’d keep all of them if I could, but my shelves are packed and I need the room. I plan on trading these books at my local used bookstore. I’d give them away, but I don’t have the money for a giveaway of that scale right now. What books have you been thinking about unhauling lately?